Very volatile day in stock index futures and energy markets along with grains and a few others…. 30 minutes ago I was planning to write on how today’s action may be a bearish signal but then stocks rebounded to close near the unchanged level and lead me to believe that we still need to see a decision day/point where either the bulls or the bears take the market sharply higher/ lower…. 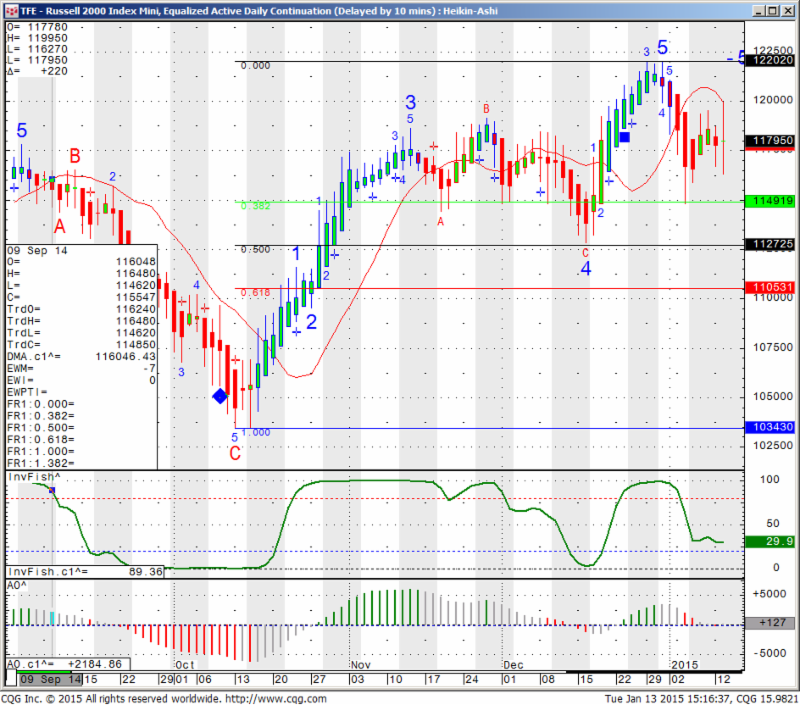 Mini Russell 2000 daily chart for your review. My opinion is that the Russell been some what of a leader in the volatile moves we have seen. Wide range today and I am tempted to say, I would be on the sidelines waiting to see if we can break above 1200 or below 1162 before having a directional bias for the short-medium term.